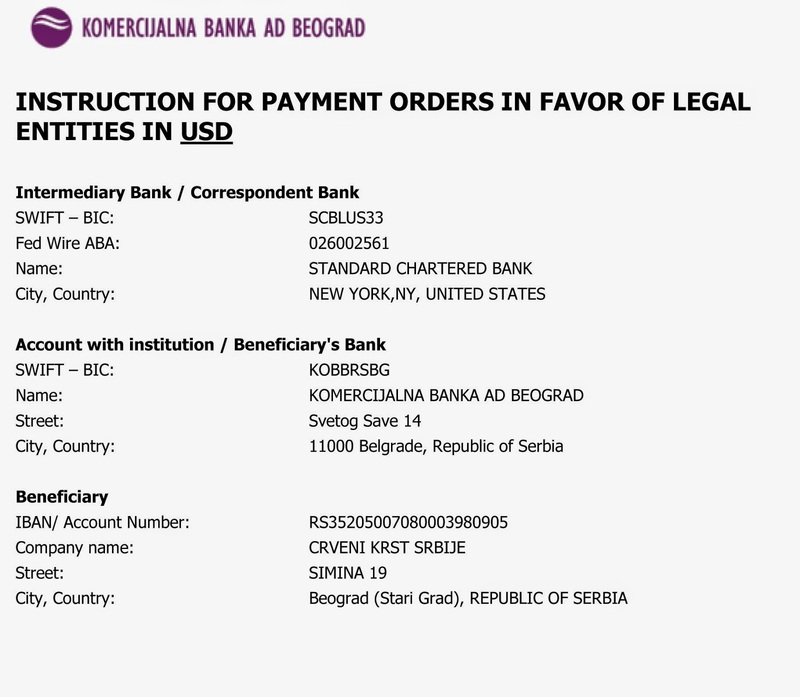 Štepalica: Help Serbia fight with the flood! Help Serbia fight with the flood! 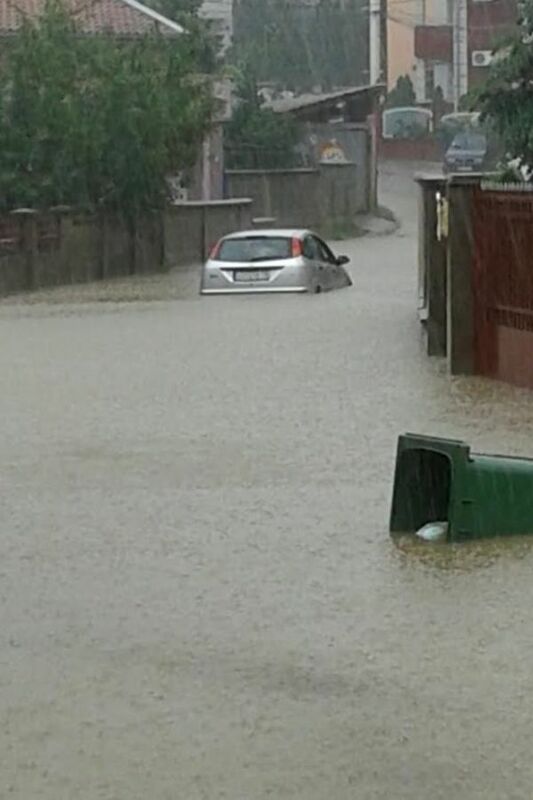 Dear readers, my country Serbia and the neighboring Bosnia and Herzegovina have been hit by flood caused by heavy rains in the last four days. Lots of people are trapped in their houses without food, drinking water and electricity, as the water keeps raising up. Many lost their homes and there are human casualties in this tragedy but we are doing our best to reduce the damage and save as many lives as possible. Some cities are completely sank under the water, and a major evacuation of the endangered has been conducted. The people who escaped the flooding need food, water, warm clothes and clean underwear, shoes, diapers, baby food, hygiene stuff, warm blankets, towels, medicine, etc. We also lack manpower (divers, fire fighters, trained rescuers) to help save the people, as well as technical equipment like boats, water pumps, and all the stuff that's useful in these situations. As for me, I am safe at my home, but three days ago I had difficulties getting in and out of the house as my street was completely flooded. I live on the top of a hill and all the water went down the street, making a huge pond at the bottom of it. So at some point no one could get in nor out of the street and I was stuck while trying to get home from work. There were fire fighters trying to pump out all the water, which helped reduce the level of the water, but as the rain kept falling the pond got bigger and bigger. I did manage to get to my home eventually, but I haven't left the house for three days. Thankfully it stopped raining this morning, but the local rivers are threatening to poor out of their riverbeds, so the major of the country is still facing a big problem. People are arranging help and support centers collecting the donations in food, water and clothes for the evacuated, and men volunteer across the country trying to build sand levees along the river banks and prevent further damages to happen. We still don't know how many human casualties there are nor what the material damage is, but we know it's huge. This is how my street looked three days ago. Your help and donations would be appreciated, so please help if you can. Thank you! 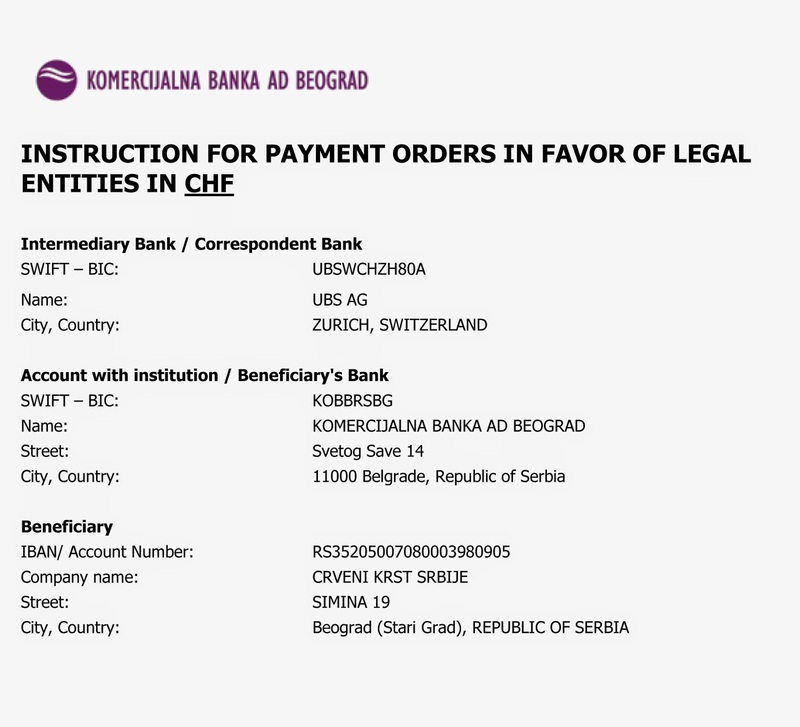 Visit the website of Red Cross Serbia for detailed information about your donation and help. 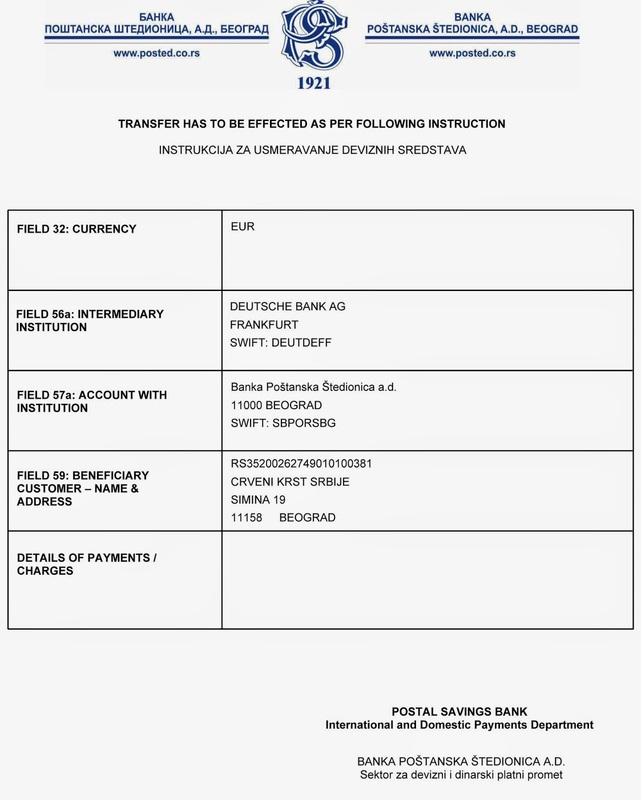 You can also find information about the ways you can help on the Facebook page Help for Serbia. Ana,da li su ovi racuni ok jer si na f podelila neke koji su lazni.Ako je sve ok da podelim tvoj post kod mene na blog? Upravo sam azurirala post, za svaki slucaj sam prekopirala slike sa sajta crvenog krsta, i dodala jos insturkcija za uplate u britanskim funtama i svajcarskim francima. Dakle, ovo je 100% provereno. Bravo Ana za gest. Bilo bi lepo kada bismo se svi ujedinili i sva napustena imanja i kuce po Srbiji na stabilnim terenima dodelili onima koji na bilo koji nacin pate i nemaju mogucnosti da normalno zive. Thank you Ana for your effort to enable people from abroad to help in this terrible situation in our small and beautiful country which will suffer from this heavy rains and floods for years. I'm following the news and its really terrible what damage the floods have done. I hope you and your family are safe & am thinking of you and everyone affected in ex-yugoslavia. Hope things will soon get better. Oh no. I am only just seeing this now. I am so sorry Ana. I hope your country gets all the help it deserves. © 2010 - 2014 Stepalica Patterns. Powered by Blogger.